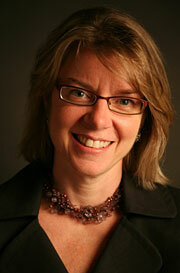 Laura Neuman is director of the Global Access to Information Program. She directs and implements Carter Center transparency and good-governance programming, including projects in Latin America, Africa, and China. Neuman developed the innovative access to information implementation assessment tool and the recent women and the right of access to information project. She also was responsible for the 2008 International Conference on the Right to Public Information and the follow-up 2009 Americas Conference and 2010 African Regional Conference on the Right of Access to Information. Neuman has written a number of articles and book chapters on the right of access to information, has edited six widely distributed guidebooks on fostering transparency and preventing corruption, and has presented at numerous international seminars on access to information legislation, implementation, enforcement, and use. She serves as a member of the International School of Transparency, the Transparency Advisory Group, an advisory member of the Open Democracy Advice Centre and Freedominfo.org; and has consulted with the World Bank, Inter-American Development Bank, and a number of governments. As part of her transparency work, she served as executive secretary for the Carter Center's Council for Ethical Business Practices. Neuman also has led and participated in international election monitoring missions throughout the Western hemisphere. Prior to joining The Carter Center in August 1999, she was an attorney at Legal Action of Wisconsin and is a 1993 graduate of the University of Wisconsin Law School.